Published on 25. 02. 2013 in comics and cartooning, film, tv, video, hype & linkage and pictorial arts. Closed Tags: Denis Mahon, Donald Richie, Floyd Gottfredson, Leonardo da Vinci, Martin Kemp, Osamu Tezuka, Robert Bresson, Ryan Holmberg, Scandinavian Journal of Comic Art, Shichima Sakai. 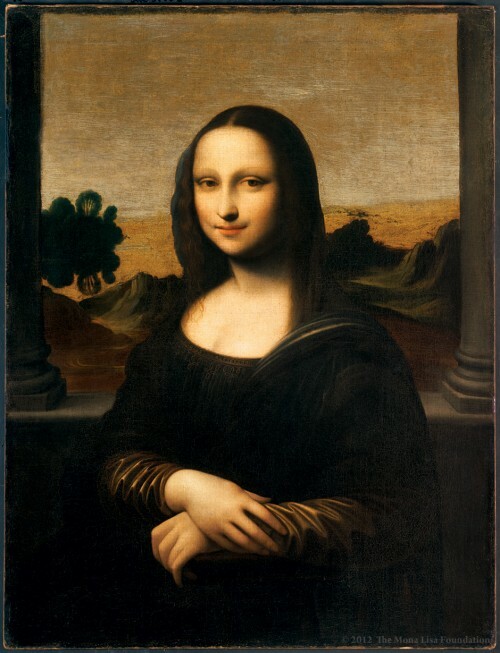 The picture above reared its head again last week when the foundation dedicated to its authentication as an earlier version of the Mona Lisa by Leonardo presented new “proof” by pointing out geometric similarities with the famous picture in the Louvre. Strangely, it did not seem to occur to them that such geometric consonance would happen quite naturally in a copy, which is clearly what this is. But don’t take my word for it, here’s Leonardo specialist Martin Kemp demolishing the spurious claim. This week, it was announced that the late collector and art historian Denis Mahon bequeathed 57 of his pictures, primarily Italian works of the 17th century, to a series of British museums, unfortunately with rather problematic stipulation that they be deaccessioned if the owners start charging admission. Look at the pictures here. Ryan Holmberg on Osamu Tezuka’s sources. Revelatory article on how the Japanese “God of Comics” Tezuka and his collaborator Shichima Sakai more or less swiped the imagery and storytelling of their famous introductory sequence to their milestone New Treasure Island (1947) from American Disney artist Floyd Gottfredson. There’s a new issue out of The Scandinavian Journal of Comic Art. Donald Richie. We paid the late great film scholar, author, and Japanophile our respects yesterday, but just wanted also to share the following video of him talking about Bresson’s Au Hasard Balthazar. We got it from this touching tribute. Also, read some of his criticism for The Japan Times here.